N. Srikanth (76), astrology teacher at Bharatiya Vidya Bhavan (BVB), Mysuru and a retd. 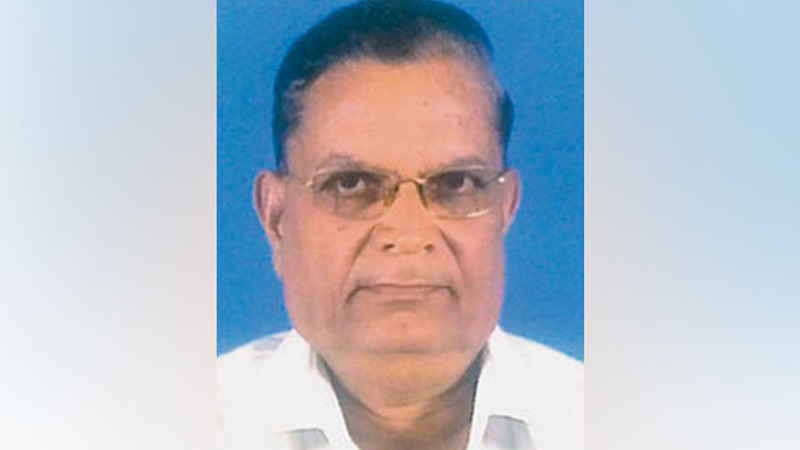 engineer of Karnataka Power Corporation Limited, passed away yesterday at his residence in Srirampura. He leaves behind his son Sanjay Srikanth, daughter Roopashri, daughter-in-law Vanamala, son-in-law Dr. A.N. Santosh Kumar, grandchildren and a host of relatives and friends. BVB Mysuru Chairman Dr. A.V. Narasimha Murthy has condoled his death.